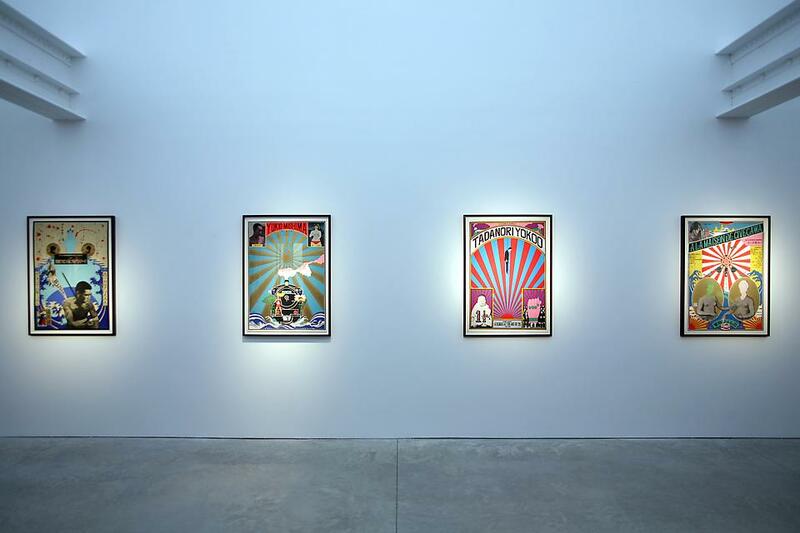 Friedman Benda Gallery is pleased to announce an exhibition of historic silkscreen posters by Japanese artist Tadanori Yokoo. 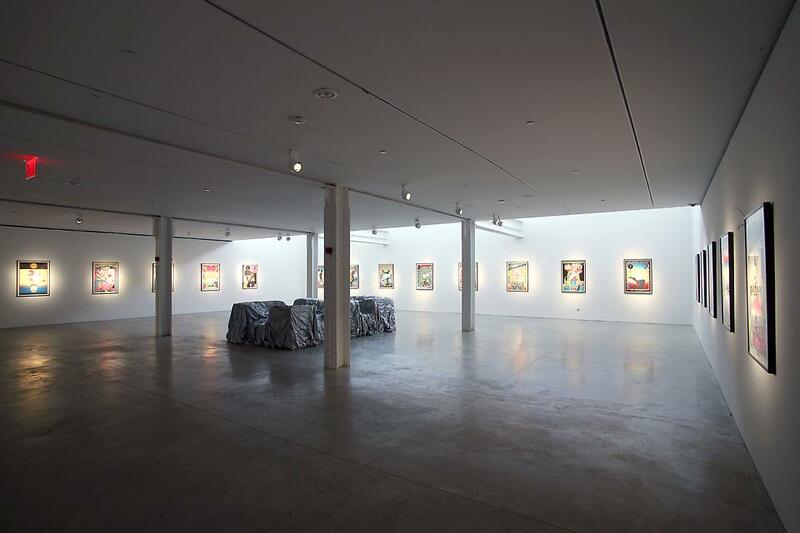 The exhibition entitled, The Asthetics of End will run from April 24 through May 19, 2010, and will present a collection of the artist's most important graphic works from the 1960's and 70's. This is the most comprehensive survey of Yokoo's silkscreens outside of Japan since his exhibition of these works at MOMA in 1972. 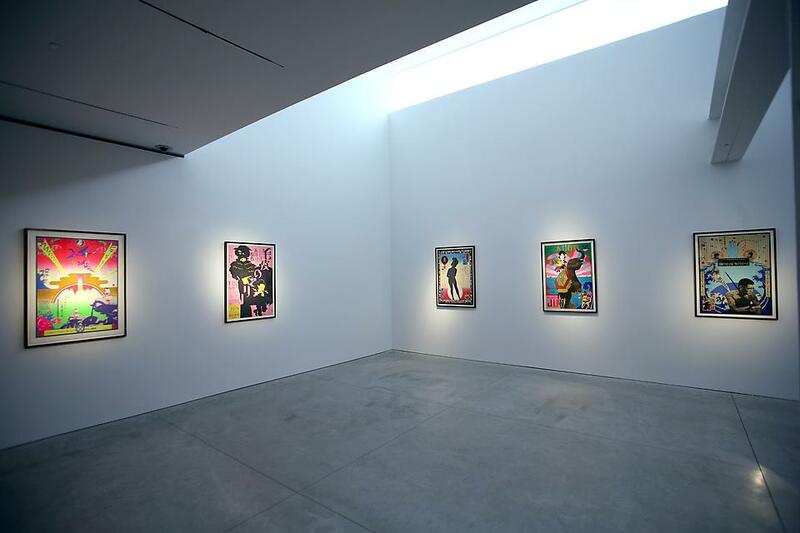 A towering influence on the evolution and iconography of Japanese contemporary art, Yokoo has straddled the worlds of commercial and fine art since the 1960s. 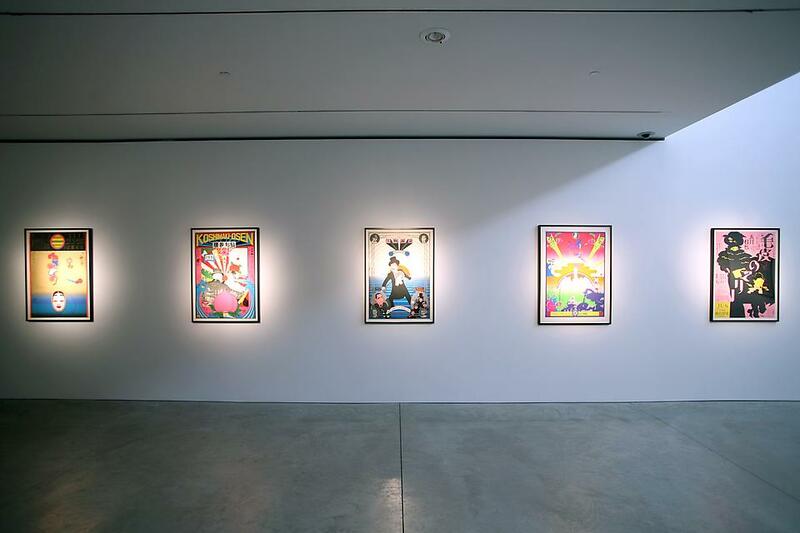 As a designer, his bold use of collage, psychedelia and appropriation of popular cultural icons – both Japanese and Western - created a new visual language for the turbulent, youth-charged 1960's. As a focal point of the Japnese avant-garde, which included filmmaker Akiro Kurosawa and writer Yukio Mishima, Yokoo's own work and collaborations with his peers generated an indigenous visual language and helped define post war Japan as an international cultural force. The Aethetics of End, from which the exhibition's title is derived, is a silkscreen-poster created for a seminal essay by Yukio Mishima. As with many of Yokoo's works, its kaleidescopic fusion of the surreal and the hyperreal, the borrowed and the imagined, simultaneously illustrates the dreamlike and intensely metaphorical qualities of Mishima's writing as well as the tumultuous spirit of the radical 60's. Drawing on the principals of traditional Japanese Ukiyo-e and Nishiki-e prints, Yokoo's work managed to be both radical and accessible to a modern Japanese and international audience. 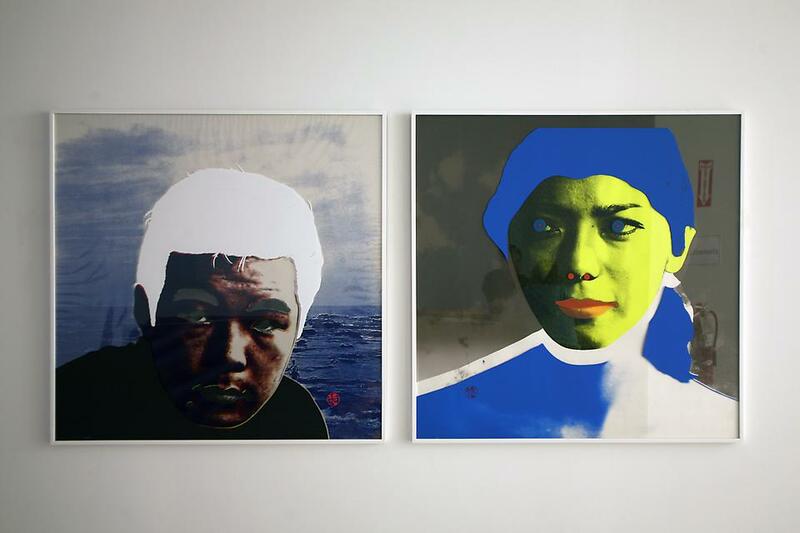 Yokoo's appropriation of imagery from consumer and popular culture and his emergence during the American pop movement have linked his work to artists such as Andy Warhol and Roy Lichtenstein. It is difficult to imagine the extraordinary rise of popular Manga or the cultural force of Murakami's Superflat phenomenon without Yokoo's influence on the visual language of his time. 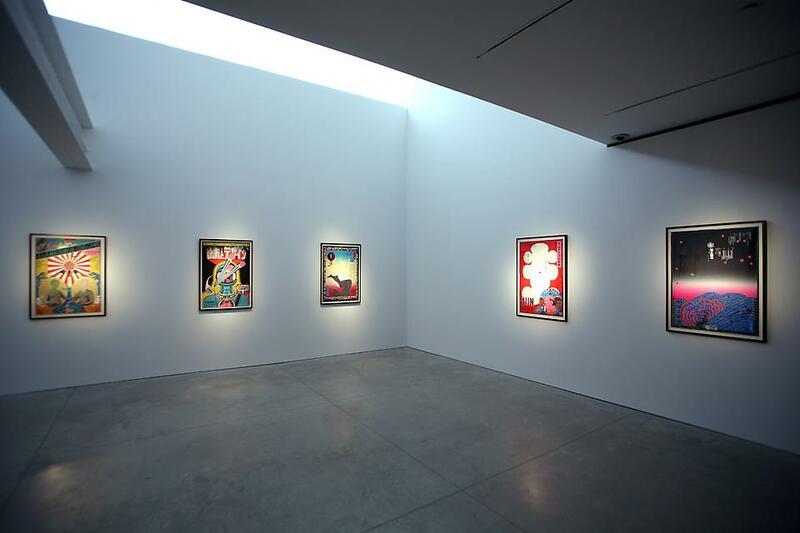 Tadanori Yokoo's works are in public and private collections internationally, including The Metropolitan Museum of Art, New York; The Museum of Modern Art, New York; The Stedelijk Museum, Amsterdam; The Victoria and Albert Museum, London; The Fondation Cartier pour l'art Contemporain, Paris; The J. Paul Getty Museum, Los Angeles; and The Walker Art Center, Minneapolis.